Can improving the interaction with smoke alarms save lives? So why aren't people using smoke alarms correctly? Smoke alarms can be annoying - they are loud and intrusive. Frustrated users reported intentionally disabling or not maintaining smoke detectors. 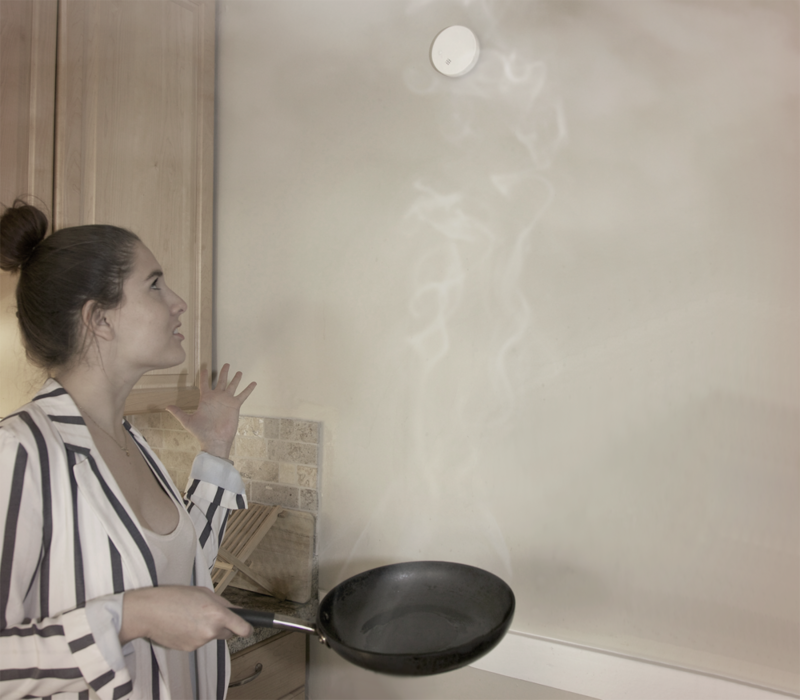 Smoke alarms can seem to overreact to small amounts of smoke or steam, loudly ringing and startling users when they are trying to cook or stepping out of the shower. Users often assume they are malfunctioning or simply not worth the trouble. The design went through dozens of iterations to refine the size, shape, look and feel of the product. I first modeled a circuit design and layout in CAD. 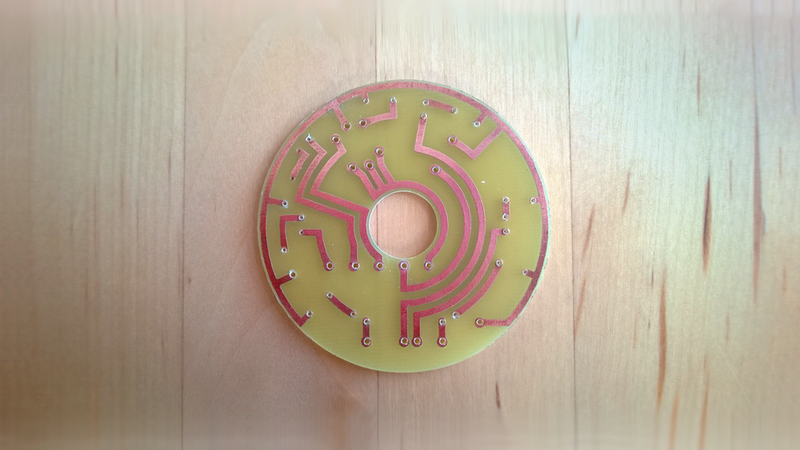 Next, I etched that pattern onto a copper plated epoxy board. When Node detects a trivial amount of smoke, the first lights turn on but no noise will sound yet so you don't get startled by blaring noise with no warning. 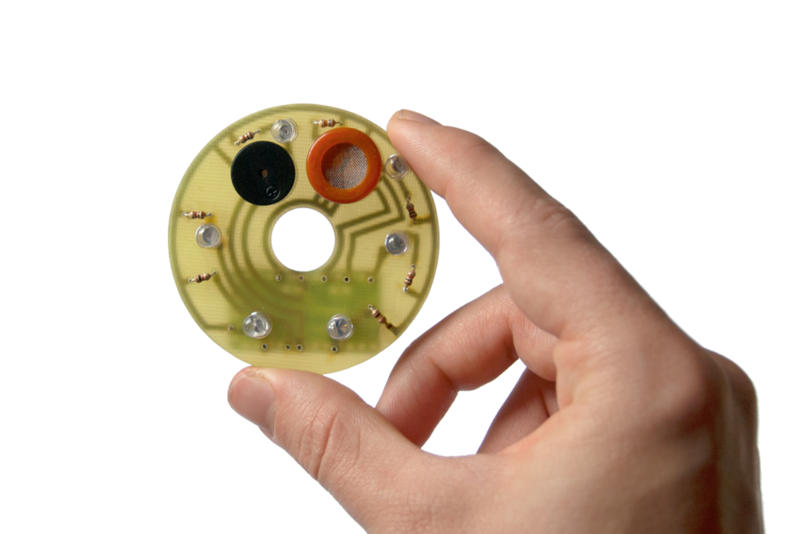 If Node detects a dangerous amount of smoke, an alarm will sound with the noise reflecting the severity of danger. Node can be mounted to the wall or ceiling. In accordance with safety code, Node can be adapted to either be battery powered or attached to your homes power supply.